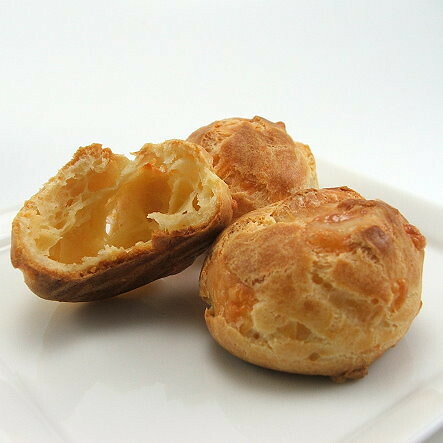 When I was in my Laminated Dough class in culinary school we made gougères. I have never been the same since. 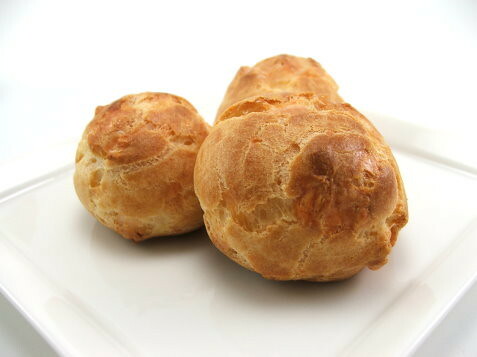 After reading what gougères were I was certain they would be awful. 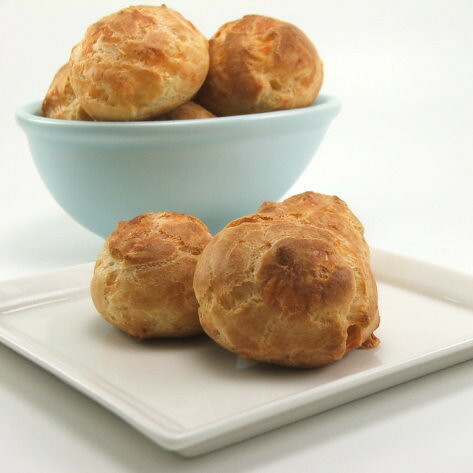 I mean, a gougère is nothing more than pâte à choux with cheese mixed in, but I always associated pâte à choux with cream puffs. 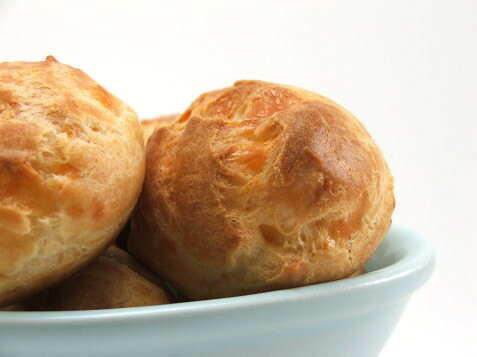 With trepidation I mixed in the cheese, piped them out into little mounds, and slid them into the oven. One taste and I was hooked. The whole of the class was. There was not one left to take home. 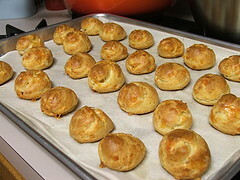 When I plan for holiday meals I make gougères as an appetizer. They are the first thing to go. 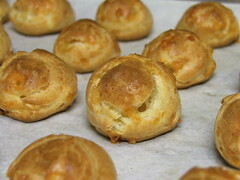 At cocktail parties, which I do not have many of, I stuff the gougères with crab salad. Lord are they good, and they look like they took so much effort. Don’t tell my guests they are so easy. 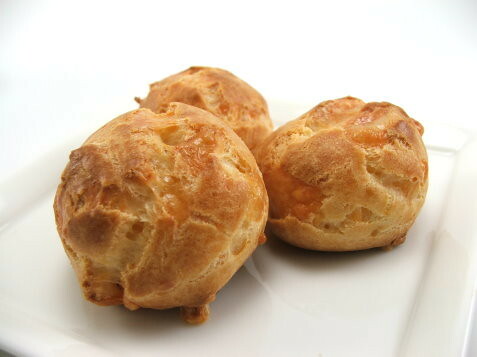 My prefered method of eating these cheese puffs is warm out of the oven. Is there anything better? Heat the oven to 375 F and line a sheet pan with parchment. 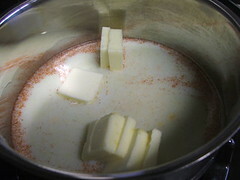 In a medium sauce pan combine the milk, butter, salt, mustard powder, and cayenne pepper. Heat over medium heat until it comes to a boil. 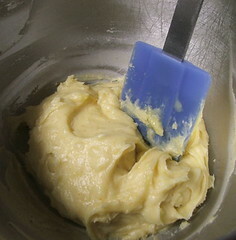 Add in the flour all at once. 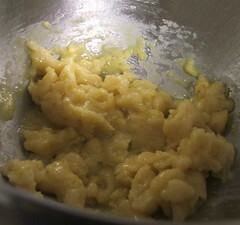 Reduce the heat to low and stir constantly until the dough forms a ball and comes away from the sides of the pan. 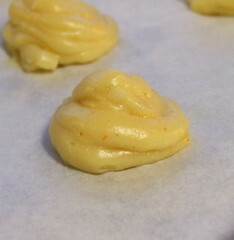 Stir in the cheese then load the mixture into a piping bag fitted with a large round tip. 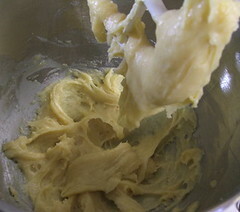 If you do not have a piping bag you can spoon out the mixture. 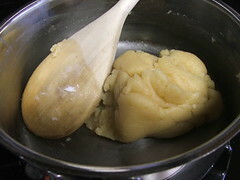 Pipe, or scoop, onto the prepared parchment about once inch apart. 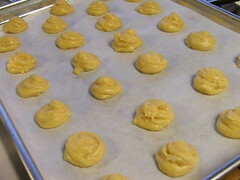 Bake for 25 to 30 minutes, rotating the pan after 15 minutes to make sure they brown evenly. 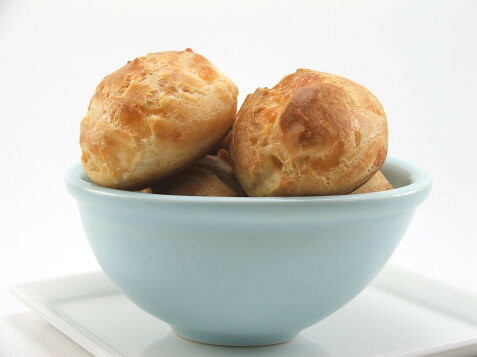 Enjoy warm, or cool and fill as desired.